Springfield – State Representative Dan Caulkins (R-Decatur) was sworn into office Wednesday as the new representative for the 101st District at the inaugural ceremony for the Illinois House of Representatives in Springfield. Representative Caulkins was elected in November 2018 to replace retiring State Rep. Bill Mitchell (R-Forsyth). The 101st Illinois House District includes all or portions of the following counties: Champaign, DeWitt, Macon, McLean & Piatt. Representative Caulkins thanked the people of the 101st District for their support. Dan Caulkins has been married for 44 years to his wife, Jo. He has more than two decades of military experience, retiring as a US Army Major. Caulkins worked for Decatur manufacturing giant ADM and several local companies, as well as running his own businesses focused on providing long-term care and assisted living for disabled adults. Representative Caulkins is a graduate of Decatur public schools and Eastern Illinois University. He previously served on the Eastern Illinois University Board of Trustees and was a member of the Decatur City Council from 2005-2009. Representative Caulkins’ district office is located at 715 W. Imboden Drive in Decatur. The office phone number is 217-876-1968 and his official website address is repcaulkins.com. 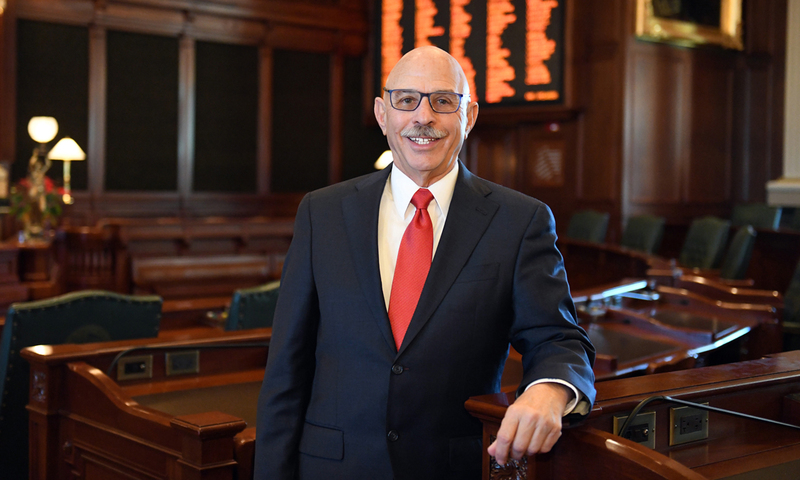 Representative Caulkins encourages constituents to reach out to him with any questions or concerns they may have regarding Illinois state government.